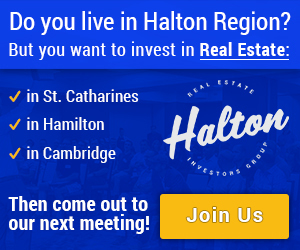 Hello to Everyone Investing in Hamilton Real Estate!! 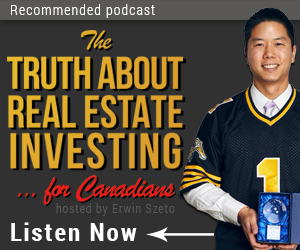 Last week we wrote about real estate networking (that I really enjoy when among high level people) and virtual golf (which is fun too, but I should stick to real estate investing :P). This winter, I made the difficult decision to give up ice hockey and just focus on Crossfit. As I get older and I’m saying no to more things, I find myself wanting to spend what little social time I have with like minded people and that wasn’t happening at hockey. One of my goals this year is to be more fit than last year. All goals need to be measurable so here is my benchmark: in the world wide Crossfit competition in 2015, I competed and finished in the 47th percentile meaning out of 10 athletes, I would place roughly below 5th. This year, my goal is 4th. In planning my goal, I made the very difficult decision of leaving my gym for the past two years where I’ve been a leader in the community and made many friends. Leaving the gym to me was much like leaving a job where I was surrounded by good people that I looked forward to everyday. In exchange, I’m making myself uncomfortable by entering new environment to surround myself with higher level athletes, coaches, and programming. Last week, I killed two birds with one stone by dropping in at http://radixperformance.com for a workout with a group of successful entrepreneurs, my colleagues at Rock Star Real Estate: Tom is a co-owner of a Profit 500 company; Ruben has flipped 26 properties including one he cleared $1,000,000 on; Mike who is a top 3%, if not top 1% Realtor; JP who is living his dream as a Fire Fighter; Dan who turned his passion of training into a business, he’s the tall one, gym owner, and head trainer. That’s what I’m up to. I hope you all have productive hobbies too, making steps every day to improve your success, and having fun doing so! We write about economic fundamentals, areas of gentrification and renewal, walkability, transportation improvements in this space each week. One thing I think we can all agree on is people enjoy good food! One thing Hamilton is amazing at, other than having one of the lowest unemployment rates in Ontario, is food! Hamilton’s food scene is just booming! The City of Hamilton was one of the first municipalities to loosen it’s food truck by-laws, rents are relatively low compared to the GTA, and there is a sizeable, growing community of passionate chefs and restauranteurs in Hamilton. And there are just as many millennials and foodies living in or moving to Hamilton who enjoy qualify food on an evening out. As someone who frequents Hamilton and tries new restaurants with regularity, I find it quite hard to keep up with all the new restaurants in Hamilton that are getting rave reviews from my friends and on social media. There is really no need to leave the area or battle traffic to Toronto (plus the cost of parking and IF you can get a table) for a 4-5 star meal. I have friends from Oakville and Burlington always asking me for recommendations in Hamilton!! This would never have happened five years ago as the rule of thumb was you don’t go downtown Hamilton after dark!! Next time you’re in town showing off your successful investment properties with your partner or JV partner/s, check out one of these restaurants so they too may experience the gentrification of Hamilton. Here is the full article: http://www.thecuriouscreature.com/2015/11/24/hamiltons-booming-food-scene/ complete with enticing pictures that will make you hungry!